When choosing this theme of readymade products made at home, I clearly remember Srivalli mentioning not to use any recipes from your own cuisine. 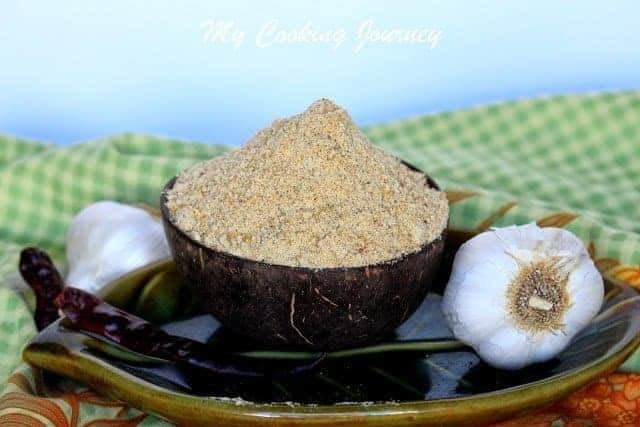 I still made this paruppu podi for the theme because this is something I always bought from stores in India along with me on my trip back to US. 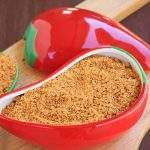 Amma always made the plain paruppu podi at home and packed it for me. 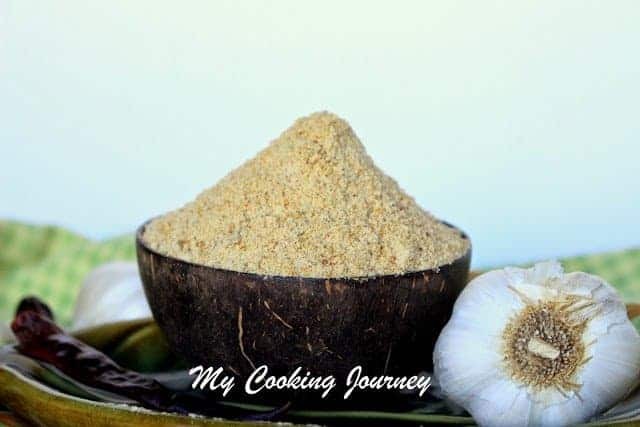 I buy small packets of garlic paruppu podi from Ambika Appalam stores and mixed a part of the garlic powder to the homemade paruppu podi. 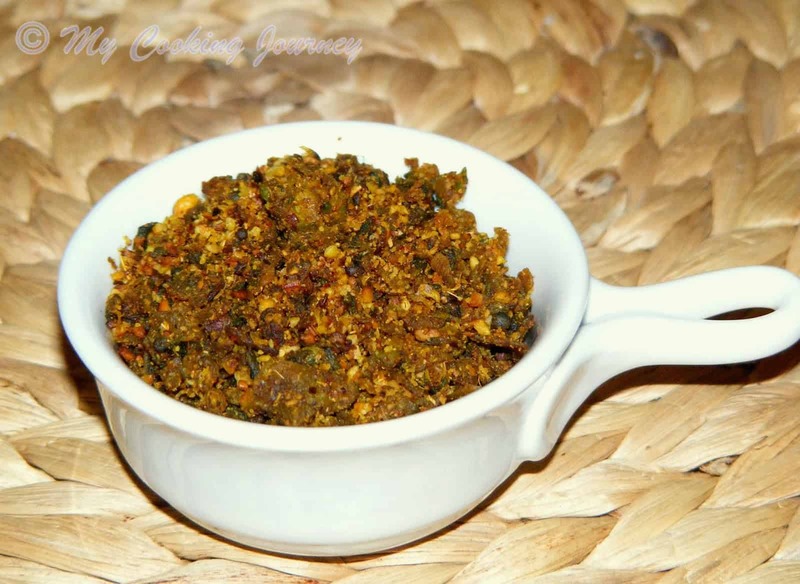 The garlic paruppu podi from the stores are very garlicky in flavor and it can be overwhelming at times. 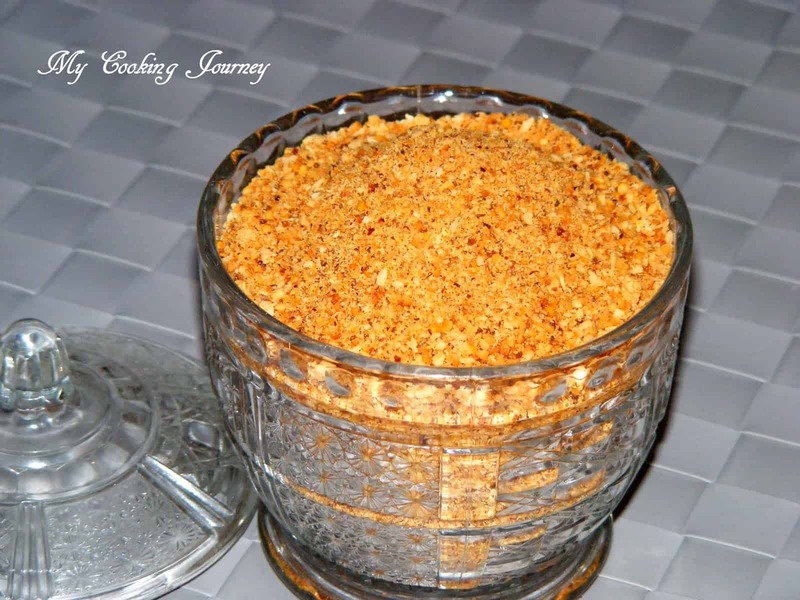 When I mixed it up with the home made paruppu podi, it balanced out the garlic flavor very well. 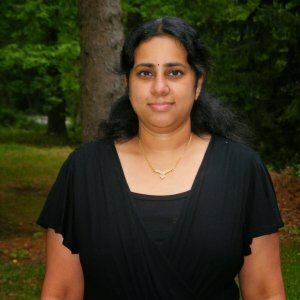 It has been a while since I went to India and I was really missing this podi. 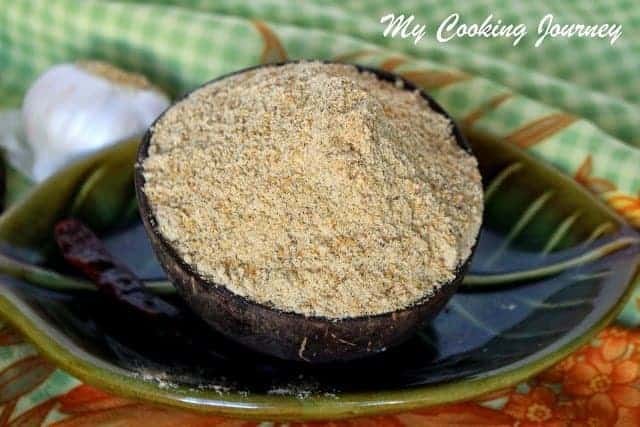 Hence I took this opportunity make this podi that I have always bought from stores. 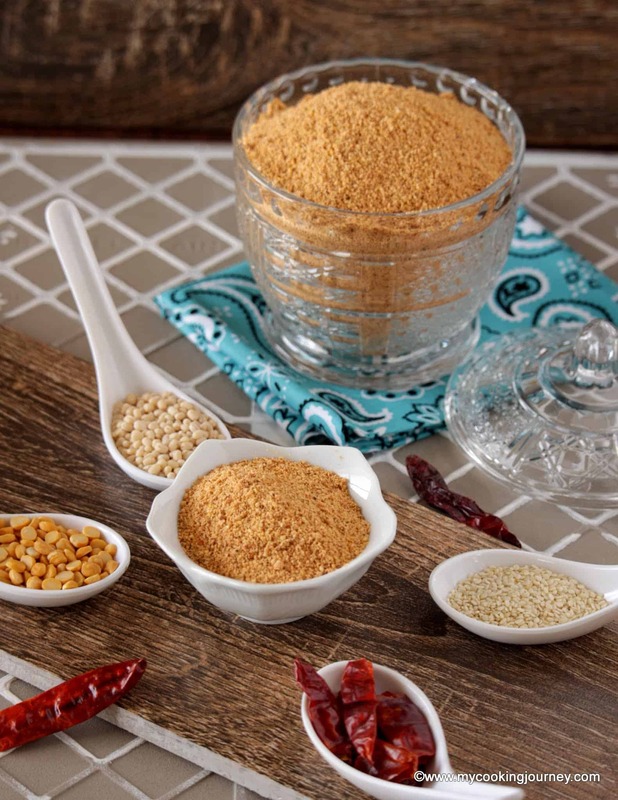 When made at home the flavors can be adjusted to suit your needs. 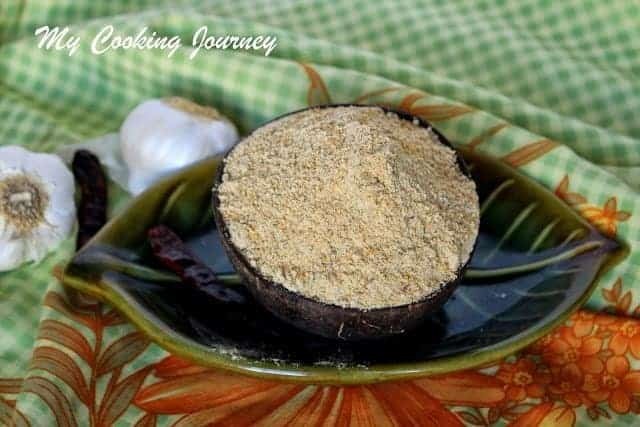 The garlic flavor in this podi is medium and was just right for me. If you like, you might increase or decrease the amount of garlic used in the recipe. 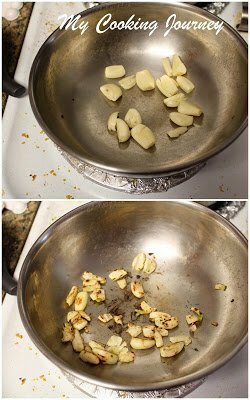 Peel and clean the garlic cloves. Give each clove a smash and keep it aside. 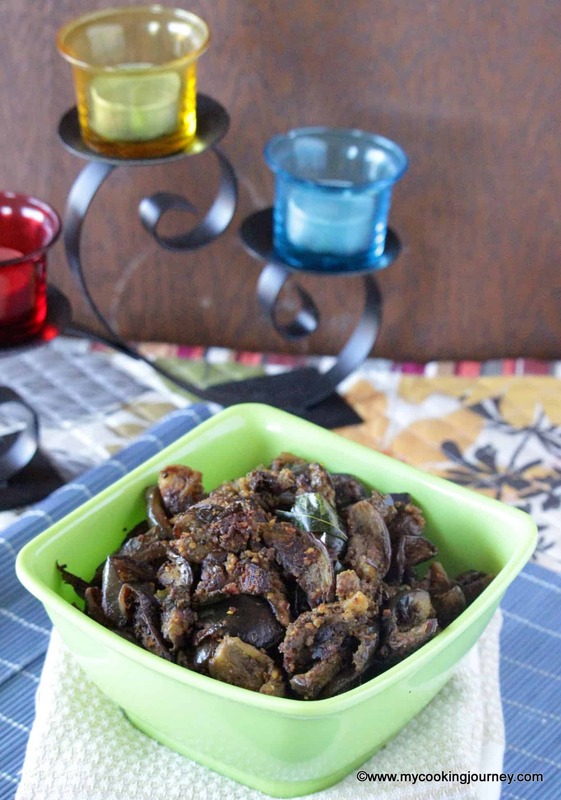 Heat about ½ tsp of oil in a pan and add the thuvaram paruppu. 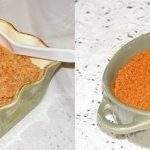 You could roast the dal without any oil as well but amma told me that the powder might become too dry when ground and asked me to use a few drops of oil. Fry the dal until it is golden brown. 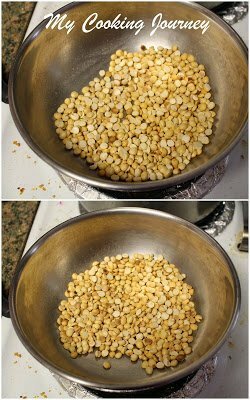 Remove it on a wide bowl or plate. 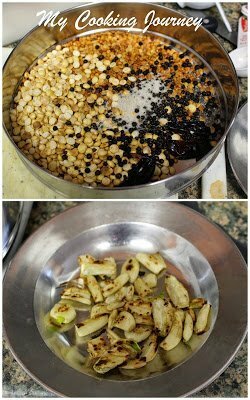 In the same pan, add the dalia/roasted gram and fry it as well. This takes very little time to roast, hence keep stirring and remove it as soon as it starts to change color. 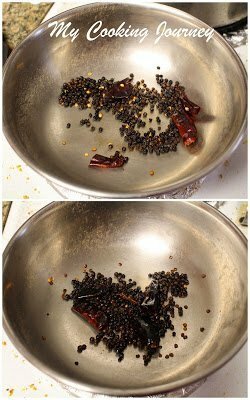 Add it to the same bowl that we have the dal. Next add couple of drops of oil and fry the red chilies and black pepper. It is important to add a bit of oil here as it might smoke a lot without oil. 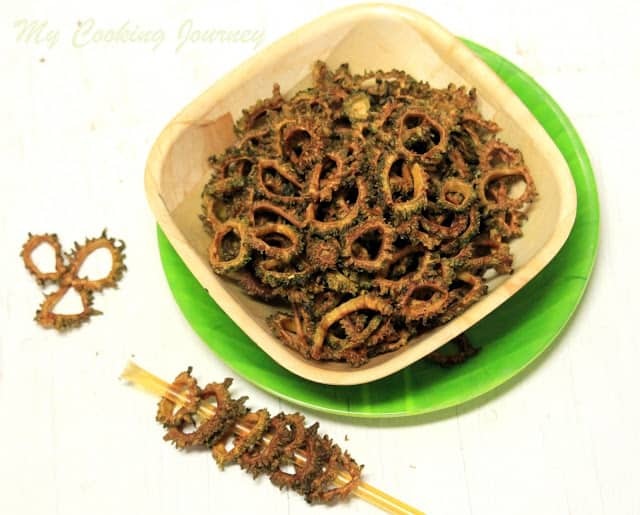 Fry them until they become aromatic and changes color. 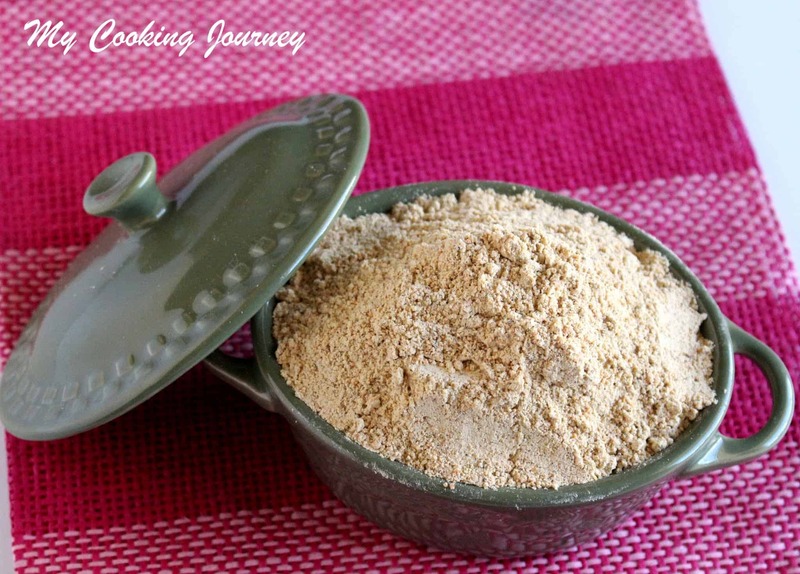 Remove it and add it to the bowl along with the rest of the ingredients. 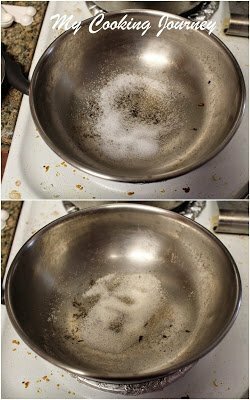 Add the remaining ¼ tsp of oil and fry the cleaned and smashed garlic cloves until it is golden brown in color. Remove it from pan and place it separately to cool down. Now to the same pan add the salt and give it a quick roast. Remove it with the rest of ingredients. Let all the ingredients cool down to room temperature and then transfer it to the blender jar. 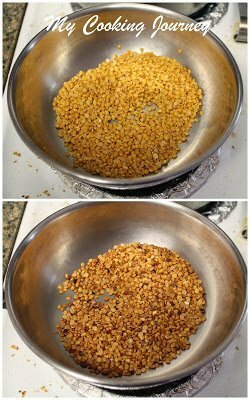 I ground the dal mixture first until it was coarsely powdered and then added the garlic cloves and ground it until smooth. 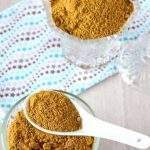 Remove it from the blender jar to a wide bowl and let it cool down again for about ½ hour and then transfer it to an airtight container. 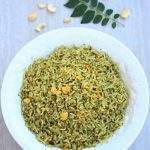 Serve with steaming hot rice and a drizzle of gingelly oil.